My work connects mainly with memory and architectural spaces which I feel like a kind of container of our life experiences. I show them white and empty alluding to oblivion and at the same time to a kind of birth because for me, over time, our memories are separate from the reality where they were born to become something else. Linet Sanchez Gutierrez graduated from the prestigious Olga Alonso Gonzalez School of Ballet in Santa Clara Cuba, before moving into the Fine Arts Professional Academy in Santa Clara, and finally into the Art University (ISA) in Havana. She currently lives and works in Havana. Her work has been exhibited around Cuba as well as in the US, Mexico, Colombia, Germany, Italy, Spain, Sweden and France. 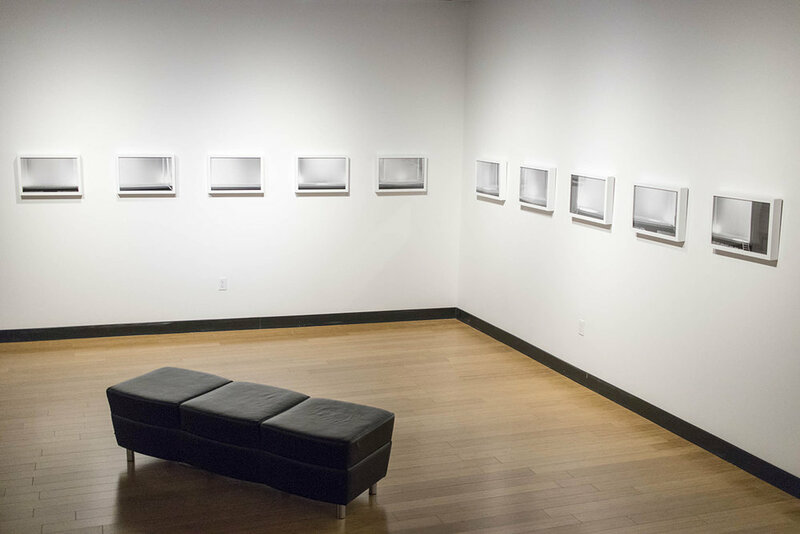 For her exhibition at the Southeast Museum of Photography, Guiterrez pulls from two recent photo portfolios, exploring her subject matter in two distinct manners. 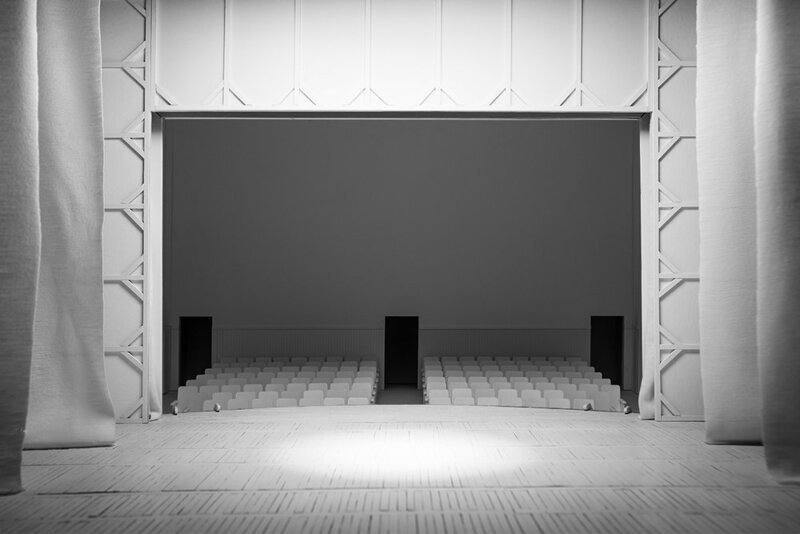 The first portfolio is an offering of ten large scale photographs capturing the interior of the models she crafts. And while the viewer can marvel at the craftsmanship of the model, or the atmosphere Gutierrez creates with her use of light and shadow, the images work on a more conceptual front as well. Gutierrez’s models are not small-scale imitations of particular physical spaces, but re-creations of her memory of particular spaces. Cognitive science reveals memory to be a construct of our lived experiences and sensory input—memories are not artifacts, etched into stone or captured on film everlasting and unchanging; instead, our memories are abstracts, they are residual, the essence of a thing not the thing. And that essence can continue to change, evolve or devolve as that memory is recalled. 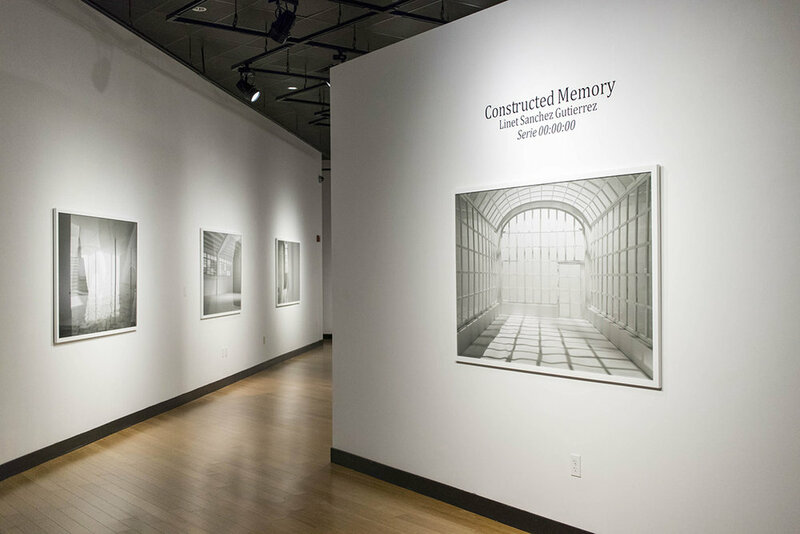 So while Gutierrez had very real experiences in very real places, her images are much more like memory as they are not completely bound to their referent; reality. She crafts and lights models for photography in much the same way that her mind constructs memories. The second portfolio takes this notion of memory as lived experience and attempts to add a visual narrative that can be read by the viewer. 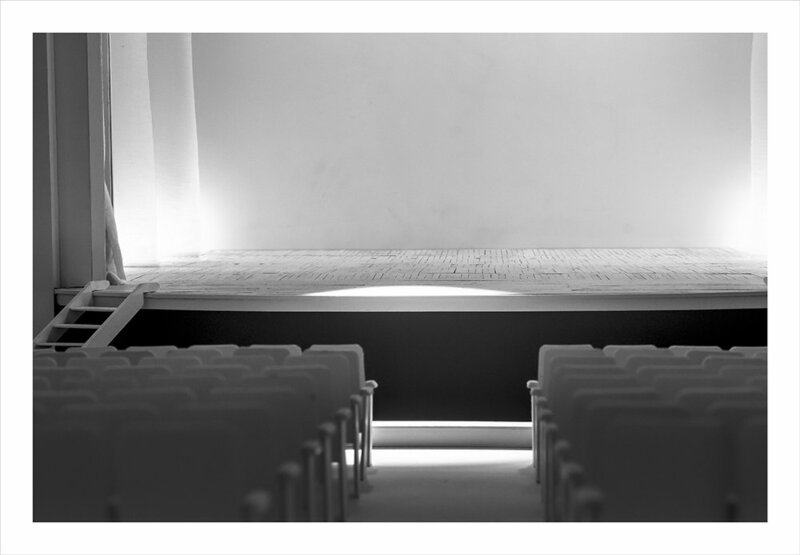 This portfolio is a series of 14 images all taken of a single model crafted to look like a small theater. 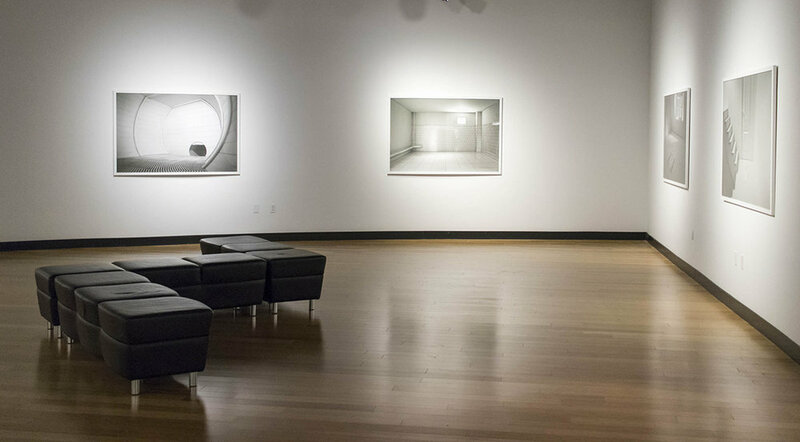 Gutierrez uses light and focus to lead the viewer through the series—from the seating, to center stage and off again Gutierrez utilizes a spotlight as a stand in for the focus of attention. In this portfolio, as with her large scale imagery, one can marvel at the impeccable craftsmanship of the model and the very intentional and careful lighting in the image, while also reading the visual sequence for narrative content. This series comes from personal memories in a theater but it doesn’t intend to reconstruct a specific one, it is perhaps the result of the mixture of many of them, containing all the presences, all the possible events at the same moment. I am interested in the temporality that places keep from all what happens inside of them. In “Constucting Memory,” Linet Sanchez Guiterrez offers the museum visitor a version of her lived experience, twice removed from reality—once through the model and again through the image. In this way, Guiterrez cleanses her image of personal attachment, and pulls the image out of time and place, allowing the viewer to marvel on the attractively unusual constructed spaces, but also to feel the weight and significance of a constructed memory.